Recently many overseas friends came to us and asked how much the WeChat certification of the overseas public number needed? How long will it take? Why some overseas companies registered their own, found that Chinese users can not search the public number? Today, the micro shangjun for the global registration WeChat public account needs to solve the problem of friends. WeChat overseas public account registered by overseas companies can not be searched by users in mainland China, nor can it be checked. If you want to make overseas users and users in mainland China can follow and view, you need to register WeChat overseas single subject public number. However, the self-service registration channel of WeChat overseas single subject public account is not yet open, so the application for registration and certification of WeChat overseas public account requires the assistance of a third party WeChat service provider to complete the registration and certification of WeChat overseas single subject public account. Q1: can overseas companies apply for WeChat official account for certification? A1: foreign companies can register their official accounts, including Banks, finance, non-profit organizations, cosmetics, health care products, real estate, real estate, educational institutions, tourism, catering, clothing, law, private enterprise services, technology software, etc., can be registered and certified, as long as they are not in the restricted industry. Q2: which countries can be registered and certified? China Hong Kong, Macao, China, China Taiwan, South Korea, Japan, Thailand, Singapore, the United States, the Netherlands, Canada, Indonesia, the Philippines and New Zealand, the united Arab emirates, Vietnam, Cambodia, France, Britain, Australia, Italy, Malaysia, Germany, kazakhstan, Liechtenstein, Luxembourg, Switzerland, Kenya, Sri Lanka, maldives, Russia and Israel, Austria, Greece, Hungary, Portugal, Spain, Iceland, Norway, Sweden, Denmark, etc., almost global legal company/institution/organization can register certification. Q3: what is the registration and certification process? A3: after paying the service fee to the third-party service provider, prepare the materials according to the detailed information list provided. The third-party service chamber of commerce will help to check whether the materials are complete and correct, and then organize the materials (in strict accordance with the official requirements) to provide the agent registration and certification services, and submit them to tencent for review. Q4: how long does it take to register? Q5: does the overseas official account need to pay 99 dollars every year? A5: the annual certification fee of the overseas public account is $99 per year, which is paid directly to tencent. The domestic annual audit fee is 300 yuan per year. When you no longer use the public number, you can not pay this fee, the account note does not cancel it does not matter. Q6: what is the difference between the functions of domestic public number and overseas public number? A6: overseas companies can only apply for the service number, which can be sent 4 times a month, and 8 pieces at most each time. Others are basically the same, in addition to the public number background now support English switch. This is convenient for overseas operators who cannot read Chinese. Q7: after the overseas public account is registered, can it be connected to cross-border payment? A7: currently, only the following 40 countries (regions) are officially supported to access cross-border WeChat payment. Some countries, such as myanmar is temporarily do not support access to wechat payment, specific when can access to see the tencent official. 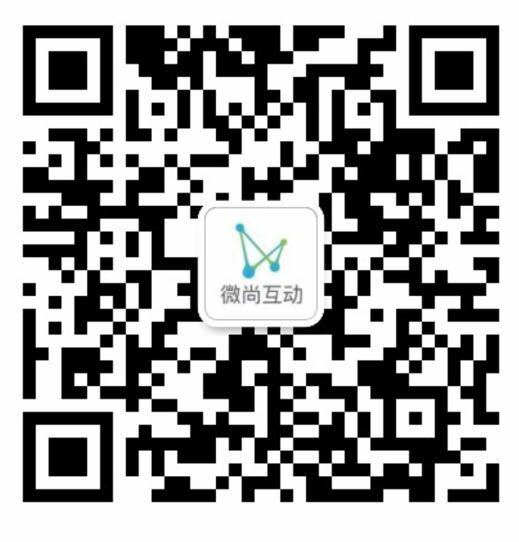 You can check which countries/regions currently support wechat payment. Q8: what if the registration is unsuccessful? Can I get a refund? General as long as not in the restricted industry of tencent can be registered within the certification of the public number, if some restricted industry want to try to register, then you can say this audit certification fee tencent is not returned to you oh. So before registering attestation, can consult below us first, see inside restricted trade. In general, if you need to register an overseas WeChat official account, you can find a third-party service provider. First, you can avoid many registration certification pit, the process is clear. Second, registration and certification is faster and more secure. There are many overseas enterprises confused to register, found that Chinese users can not pay attention to the search, during this period of time and labor costs are a lot of waste. The above is my small series of about the registration and certification of overseas public number Q & A. If overseas enterprises want to enter the Chinese market and increase sales, they need to understand China's national conditions and even the behavior habits of mainland users. Chinese mainland users are also eager to use WeChat public account as a platform to access more high-quality overseas brand products and services in the future, and directly place orders on WeChat. This is the trend of e-commerce globalization and mobile Internet era. Next: What are WeChat Official Accounts?